Perpetual Partnerships welcomed 30 HR and leadership professionals from the Engineering, Manufacturing and Built Environment sector to our parent engineering company, Cygnet Group in Northwich. The subject is on very close to the heart of a growing number of businesses both large and small, retaining top industry talent. In partnership with the Leadership Team the mornings content was delivered by Garry Rogerson, MD and Ben Appleton, Head of Senior Appointments and designed to be an interactive seminar with plenty of opportunity to share ideas and experiences. During the beginning of my recruitment career without doubt the most satisfaction I felt in recruitment was in finding the ideal candidate for a “tough to fill” role. The sound of the candidates excitement for the “job of their dreams”, the client, relieved and impressed by your level of service. As time went by, however there would be the occasional phone call from the candidate 3-6 months later asking for help as the role was “no longer for them”. Naturally this puts a strain on all party relationships. When I became more experienced I began to realise that it was far more satisfying when the phone didn’t ring and the candidate forged a long-term career and the phone call was one of a client asking for help to recruit. It was then I realised retention was far more important to my client. It begged the question, how much does poor retention cost a business? How much does it cost the industry? Why do candidates leave? Why do they stay? How does a business keep its top talent in competitive market conditions? From research by a variety of sources it costs UK industry £4.13 billion which is indeed an incredible amount. What does it cost a business? When a candidate leaves and needs replacing it costs on average £28,614 which is all the more staggering given this is a base figure! It is not just inclusive of the recruitment costs, the time spent interviewing (this costs on average £5.5K), it also includes the loss in productivity that hits a business hard. Consider it takes 28 weeks for a new recruit to get up to speed. So why does a business lose its best people? Often people get hung up on the hard facts such as distance to work, salary, bonus. In the main people don’t leave for money believe it or not. After breaking into groups during the seminar most came to the conclusions that in the words of Dale Carnegie, people leave people. Meaning they leave because they are not stimulated, don’t have support etc. They are mainly behavioural and career related challenges. All the things that should be provided by good leadership. What are the things you can do to prevent people leaving? Day one is so important! We examined the importance of the opening impression the business has on new employees and the first few weeks are vital. Specifically, we looked at the significance a good induction has on creating the right impression when a person starts in a new business. The feeling of belonging is crucial in any new employee/employer relationship and a good induction is the start of ensuring this process is effective. Most of us agreed in the different groups that the importance of understanding the business goals and vision as well as culture and values is imperative in achieving individual buy-in. At Cygnet for example, great importance is placed on sharing the family company values that the whole business is based on. Something as simple as the Group CEO meeting every single new employee to set out his own beliefs, values and vision for the business has such a powerful impact and is critical in retaining our top talent. Following this, there is also great importance placed on training plans and succession planning so people know how they will develop their skills and achieve their potential in a business. We are increasingly being asked to help with ideas on how we can assist companies with retaining talent. Having seen new employees leave businesses based on simple things such as not having a desk on day one or not having access to their manager in the first weeks, we can focus our attention on the ‘low hanging fruit’ in the first instance. 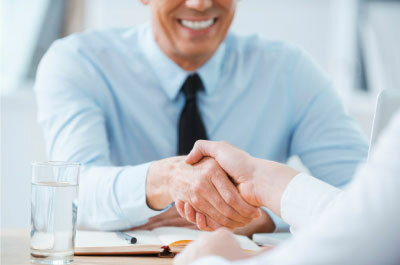 We have been asked by a number of businesses to help broker the initial relationship by providing feedback from candidates on how they are doing in those crucial time periods of one and three months. These ‘harmonisation’ reports have been key in developing both company inductions and also identifying and eradicating the repeat issues which affect employee happiness when they join the business. In summary, the seminar confirmed our feelings and findings from our research, that leaders are hugely concerned about keeping hold of their top talent but were not aware of the true cost if they get it wrong. We believe this will become increasingly as important as attracting talent in the first place and we believe developing the tools, processes and consultancy advice we offer has to be time and resources well spent. Certainly for the businesses we represent, focus on the areas I have discussed in this article to ensure new employees are retained will equally be time and resources well spent.